Gift giving is our specialty. 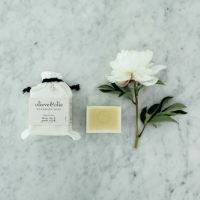 We love finding products that are not only beautiful, but that are also luxurious and nurturing. 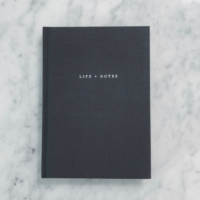 From sourcing new products, to lovingly hand wrapping and gift boxing them for you, there is nothing we enjoy more. All of the products on our website are things we have chosen because we LOVE them and use them ourselves. 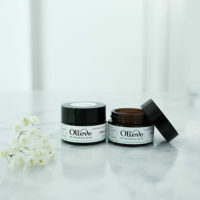 So whether you’re buying a gift for someone you care for, or just want some of our beautiful products for yourself (no gift boxing is an option), welcome…we hope you enjoy what we have to offer. First step – Select the items you would like to include in your box. Just click and add. Second step – after scrolling down through our product offerings, at the end you will find the following options. 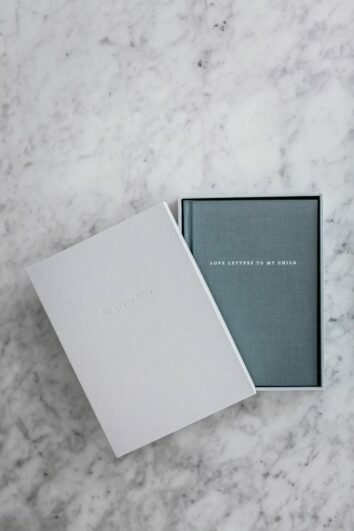 To have your items beautifully gift boxed or simply lovingly packed in a regular shipping box. Our Design Your Own Gift Boxes can only be shipped within Australia (all other products on our website can be shipped internationally). If you would like to design your own gift box and have it shipped internationally, please email me for a shipping quote. 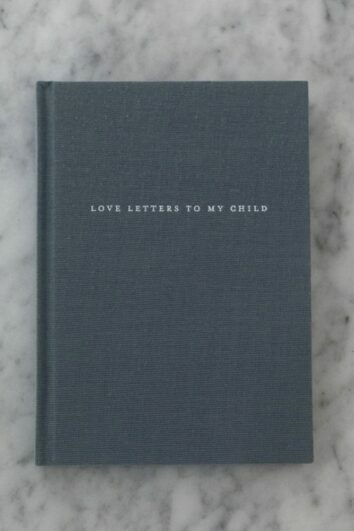 Love Letters to My Child – a lined journal to write to your child from birth until they leave home. 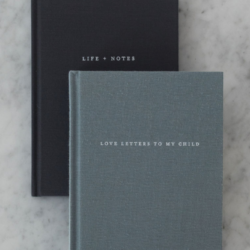 Life + Notes – A Childhood Health + Milestone Journal from birth to 18 years of age. 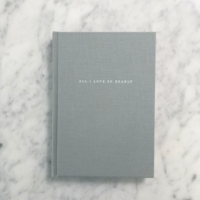 All I Love So Dearly journal – a lined journal to write about whatever you love so dearly. 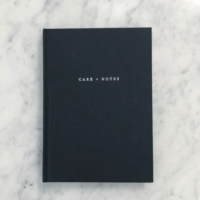 Care + Notes Journal – a helpful and supportive tool to help someone navigate a serious illness. 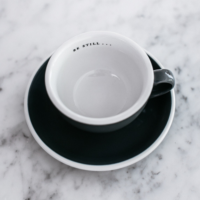 Be Still Cup + Saucer custom Made for The Grace Files and a reminder to ‘be still’. For those who want something just a little bit different. 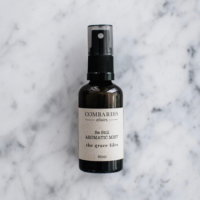 Be Still Lavender Pillow Mist – Nurturing + Relaxing. Perfect for anyone who deserves a little pampering. 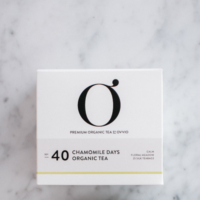 Ovvio Organics Chamomile Tea Bags – soothing and comforting. 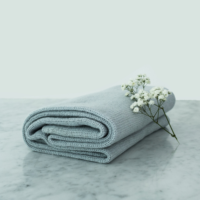 100% Cashmere Topper – Ash. So Very Soft + Nurturing. 100% Cashmere Topper – Charcoal. So Very Soft + Nurturing. 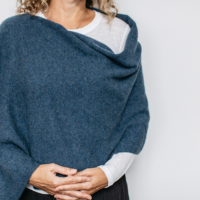 100% Cashmere Topper – Denim Colour. So very soft + nurturing. 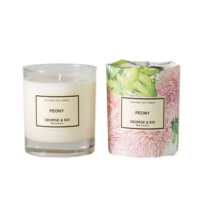 George & Edi Peony Candle – beautiful soft floral scent. Handmade In NZ. 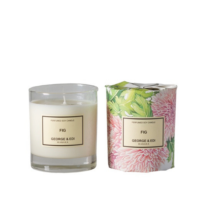 George & Edi Fig Candle – very soft floral fragrance. Handmade in NZ. 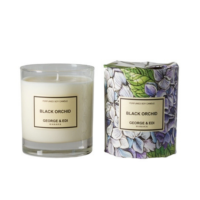 George & Edi Black Orchid Candle – divine light floral scent. Made in NZ. 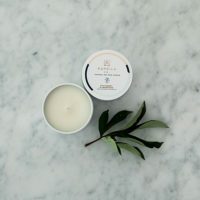 Kandila Co Strawberry & Champagne Candle – travel sized deliciousness. You’ll be obsessed once you smell it! 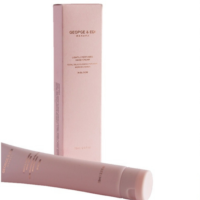 George & Edi In Bloom Hand Cream. Moisturising + nurturing with the softest of scent. Made in NZ. 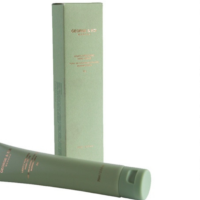 George & Edi Fig Hand Cream – beautiful moisturising lightly fragranced cream. Made in NZ. Olive Oil + Goats Milk Soap. Set of three beautiful soaps. 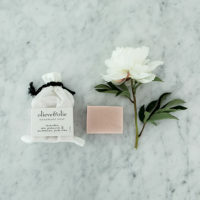 Lavender, Rose Geranium & Pink Clay Soap – set of three beautiful soaps. 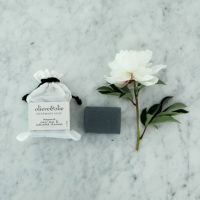 Bergamot, Clary Sage & Activated Charcoal Soap – set of three beautiful soaps. 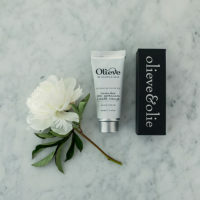 Olieve & Olie Vanilla Lip Balm – deliciously moisturising + all natural. Lavender, Rose Geranium & Sweet Orange Hand Cream. 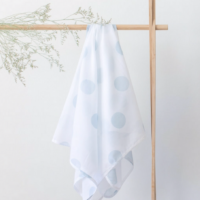 Mama Maya Blue Spot Swaddle -120×120 in size, organic cotton and beautifully soft. 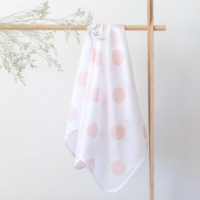 Mama Maya Salmon Spot Swaddle -120×120 in size, organic cotton and beautifully soft. 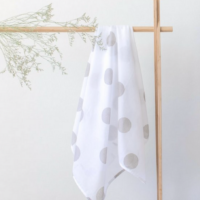 Mama Maya Grey Spot Swaddle – 120×120 in size, organic cotton and beautifully soft. 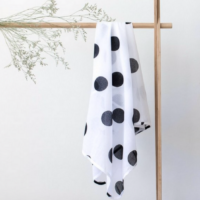 Mama Maya Charcoal Spot Swaddle – 120×120 in size, organic cotton and beautifully soft. 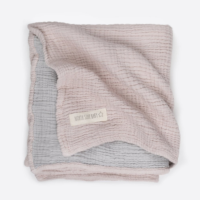 Bebek Baby Blanket – Pink + Grey double sided 90x120cm cotton blanket. 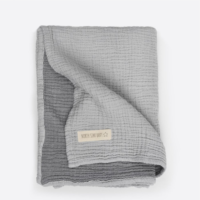 Bebek Baby Blanket -grey double sided 90x120cm cotton blanket. Super soft! 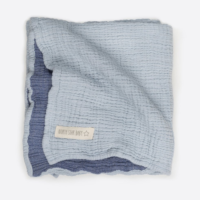 Bebek Baby Blanket – Blue double sided 90x120cm cotton blanket. Super soft! 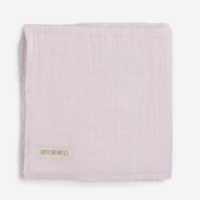 North Star Baby Muslin – Pink 110×110 high quality cotton wrap. 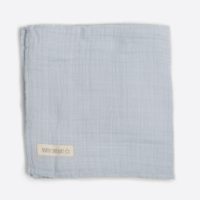 North Star Baby Muslin – Blue 110×110 high quality cotton wrap. 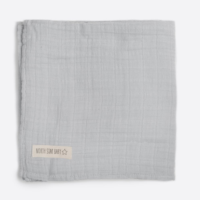 North Star Baby Muslin – Grey 110×110 high quality cotton wrap. 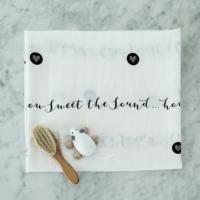 How Sweet the Sound baby Swaddle – generously sized 120×120 and deliciously soft. 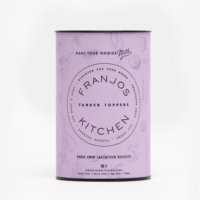 Franjos Choc Chip Lactation Biscuits – for the mama who doesn’t need to be gluten free, but they all taste delicious! 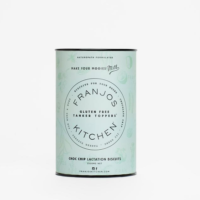 Franjos Gluten Free Choc Chip Lactation Biscuits – perfect for the chocolate loving breastfeeding mama. 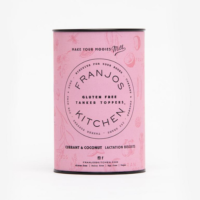 Franjos Gluten Free Currant & Coconut Lactation Biscuits – perfect for the breastfeeding mama. 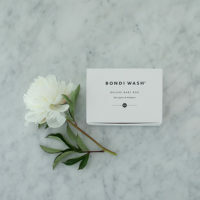 Bondi Wash Baby Box – the perfect baby wash starter kit. Henry Bear – Brown tweed fabric. 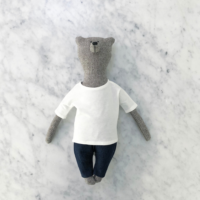 Handmade in Europe, this 40cm tall bear is the perfect heirloom toy. 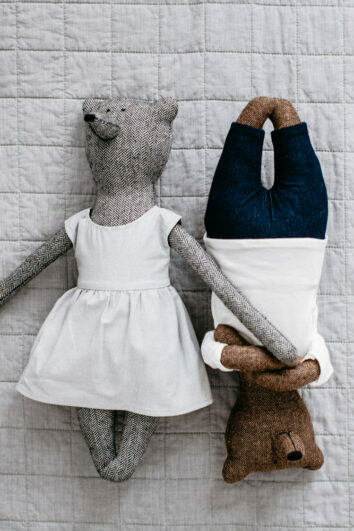 Henry Bear – Grey tweed fabric. 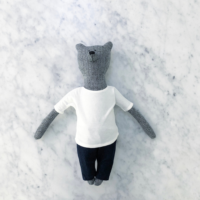 At 40cm tall and handmade in Europe, Henry is a beautiful heirloom toy. Grace Bear – Brown tweed fabric. 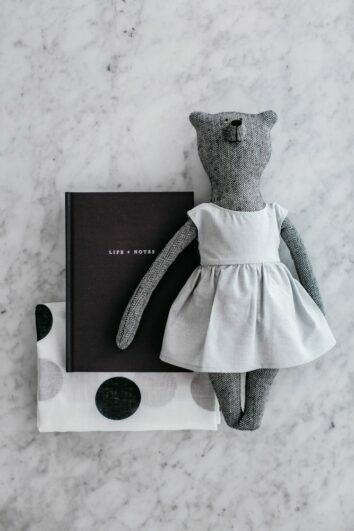 At 40cm tall and Handmade in Europe, she is a true heirloom toy. 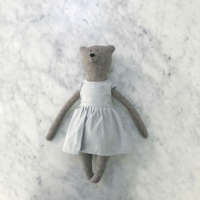 Grace Bear – Grey tweed fabric. 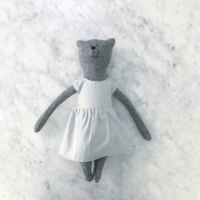 At 40cm tall and Handmade in Europe she is a true heirloom toy. 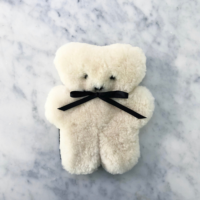 Flat Out Bear – Baby Rosie.100% Australian Sheepskin 18cm tall x 16cm wide x 4cm flat. 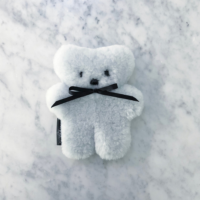 Flat Out Bear – Baby Bluey.100% Australian Sheepskin 18cm tall x 16cm wide x 4cm flat. 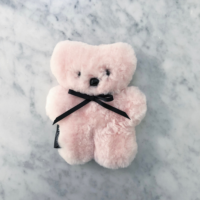 Flat Out Bear – Baby Milky. 100% Australian Sheepskin 18cm tall x 16cm wide x 4cm flat. 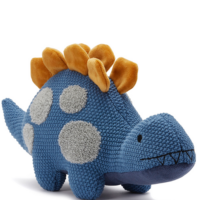 Nana Huchy Baby Dino – 24cm long and the child of Daddy Dino! 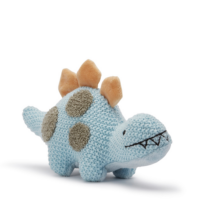 Nana Huchy Daddy Dino – 40cm long and very soft + cuddly. 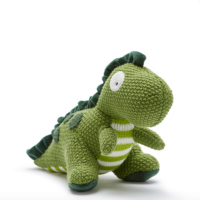 Nana Huchy Little Dodger the Dino- 28cm long and 18cm high. 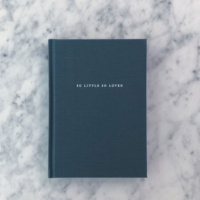 Perfect for little hands. 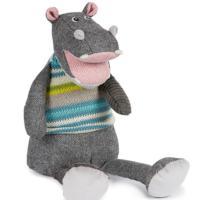 Nana Huchy Herbert the Hippo – 39 centimetres of squishy cuddliness! 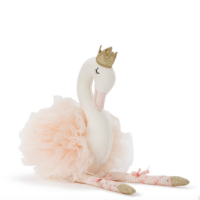 Scarlet the Cygnet – 33cm long, this beautiful toy is utterly delightful. 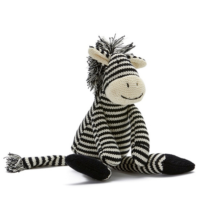 Zac The Zebra – super soft knitted toy, 31cm tall and very handsome! 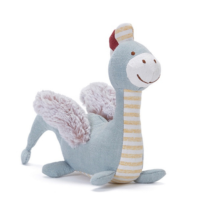 Albie the Dragon Baby Rattle 20x18cm – the perfect size for little hands. 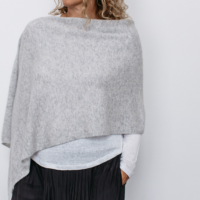 Cashlama Wrap – deliciously soft with generous proportions of 180 x 60cm (adult wrap). 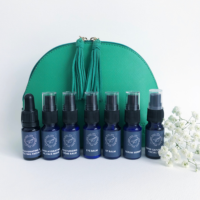 Long Haul Spa – travel size skincare which will get you to your destination looking as fresh as a daisy! 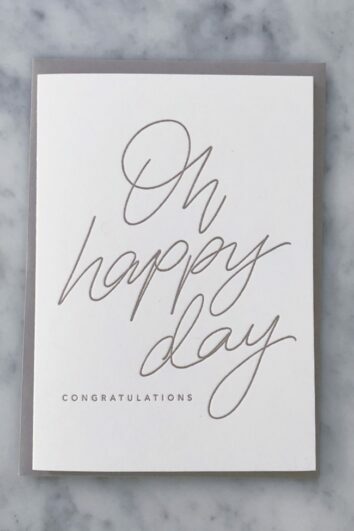 Our journals can be personalised using a technique called foil stamping ( or debossing ). 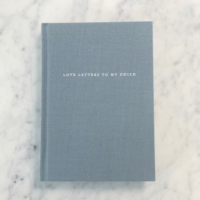 This hand crafted technique allows us to create a beautiful gift that will be treasured for years to come. You can personalise using the first name only, or full name. Both look equally lovely. Type your required name in the box below next to the journal you have selected. Amount of journals requiring personalisation ($ 19.16) This must be a number! Please make each name no longer then 25 characters. 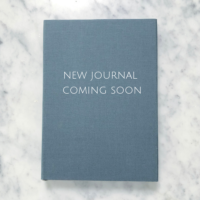 Please type the name of the journal next to the name.